The social media revolution came fast and furious over the last 5 years, and I believe that we’ve entered a new era over the last year. I wouldn’t call it “post-social”; while we are definitely past the heady days of early adoption, there are in my opinion still boundless opportunities in the social sphere. To use a financial analogy, with some big stocks like Microsoft, Apple and Google, if you had jumped in early, you could have become insanely rich and if you got in a few years later you’d only be very rich. In my experience, social media is about social (connecting/community) and media (content). I’ve now been blogging for 4 years (I was on Facebook in ’07, Twitter in ’08, Tumblr in ’08, and WordPress in ’09), and it’s humbling how many connections I’ve made and how many people have read content that I’ve created. I’m a big advocate of getting people to share via blogs and Twitter (I just passed my 10,000th Tweet), so thought I’d share some thoughts on what most of us already know: there’s a big difference between just doing something and doing it well, but too often there are competing pressures or processes that get in the way of doing a great job. Here I am with James Urquhart and Christofer Hoff at Cisco Live 2009, we were all Tweeting on our Blackberries at the beginning of this video. SQUIRREL! First on the social side, I consider myself a people person and am active in a number of communities (lots of IT, innovation, social media). I read as much as possible, share what excites me and try and add to the conversation. Feedback through social interactions encourages me to put in the extra effort to write more or interact online (the Twitter retweet or Facebook comment provides the same dopamine ping that we used to get from email beeps in the ‘90s before email volumes became ridiculous). It always helps to understand the target audience for what you’re creating and being active in a community will give your shared items the network effect. On the content creation side, in addition to blogging and Twitter, I enjoy giving presentations and recording videos that we do in theCUBE at conferences. Research, preparation and hard work separate a good presentation or interview from a mediocre one. A strong narrative or storyline help an audience to connect with both types of presentations. An audience can tell the difference between someone that is prepared, really knows the subject and can feed off of the passion of the presenter. As an example, readers of my blog will be familiar with my FCoE work and likely the YouTube video I did 4 years ago. The format was standard for EMC, there are 100’s of EMC whiteboard videos, yet that particular video has orders of magnitude more views. First of all, it was great timing (I was a non-Cisco person explaining a relatively “hot” technology–brought to market by Cisco–that spanned across storage, networking and virtualization). Second, it was a technology primer, not a product or company pitch. Third, I had seen lots of whiteboard videos, knew what I liked and didn’t as a viewer and worked hard to have a short, focused presentation (I try to follow Mark Twain’s advice – if I had more time, I would have made this writing shorter). Finally, once it was launched, I had the boosting of social media and the internet: I blogged about it, it was picked up and embedded by other blogs and news sites, and it was posted on FCoE.com. Good preparation, execution and follow-through are not easy, and my going “viral” isn’t something that I could ever hope to explain. I work on many of the Infographics that Wikibon creates, and we strive to fuse strong data points, a good narrative and attractive design (we work with creative teams) so that we’re not putting out “Infocrapics”. Design is very important, as Dan Pink said in his book A Whole New Mind, those who can fuse right-brain and left-brain solutions together (Apple engineering + design is a classic example) can thrive in the economy where commoditization and globalization are disrupting so many industries. Scott Adams (the Dilbert guy) said at a conference that we make our own luck by looking out for opportunities, trying and persevering on things that pop up that others would likely ignore. I got on Twitter because PR asked for help, did that YouTube video to help marketing, and started blogging thanks to encouragement from the social community. I try to say yes to most requests to share information; time spent with journalists looking for information or participating in podcasts or videos is always rewarding. There’s an insatiable demand for good content in the world. And while I’m a small fish in the blogger world, I know that it’s relatively easy to get connected to some very important people through engagement and sharing of ideas. As social adoption grows, is your network an echo chamber? How do you keep community and fun in social so that it doesn’t become un-social and irrelevant? Entrepreneur and NBA owner Mark Cuban talked about how there are inefficiencies in the marketplace; if you can give yourself an edge in knowledge or out hustle people, you can succeed. Real estate mogul, Barbara Corcoran said that the first thing that she looks for in hiring is passion, which can not be taught. Bill George (former CEO of Medtronic and author) said that most people only give 30% effort in what they do; only delivering what they are told to do since they are not engaged and working on things that excite themselves. George also said that the size of an organization is inversely proportionate to the propensity to take risk. 21st century leadership isn’t about titles, but rather helping people find the sweet spots where strengths and passions can connect. Process and creativity/innovation are opposing forces at companies. Companies need to create spaces for people to try, fail and iterate. When I joined Wikibon, I expected that activity on my personal blog would drop; I hoped to put up about 1 post a month. While I did OK for the first 12 months (15 posts), it’s been 4 months since my last entry. The main reason that I haven’t posted here is that my day job includes lots of content creation (in my first year, I wrote 59 blog posts and was primary author on 27 wiki articles). In addition to writing for Wikibon, I’ve always been an active member in technology and social media conversations online and in person. While there are lots of good conferences to attend throughout the year (some with amazing entertainment), VMworld was once again my favorite tech show due to the very active ecosystem of partners and enthusiastic virtualization community. VMworld was one of the busiest work weeks that I’ve ever had; getting to discuss topics with other vExperts and speak to lots of C-level executives and customers. 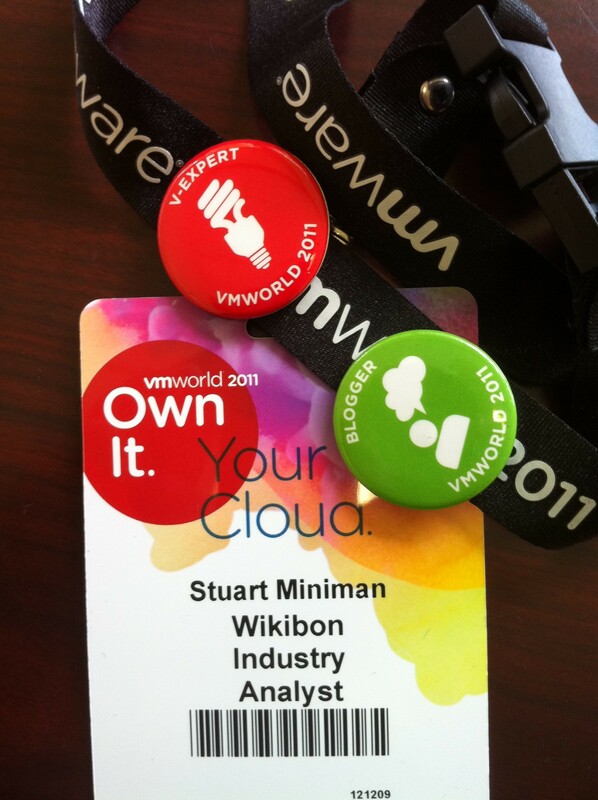 I received great feedback at the show on Wikibon’s VMware storage integration research. The conversations at the conference also provided some data points towards some networking research that I am working on. For the tech crowd, Interop is October 3-7 and I will be debating with Stephen Foskett on iSCSI vs. FC, Thursday Oct 6 at 3:15pm – details here. 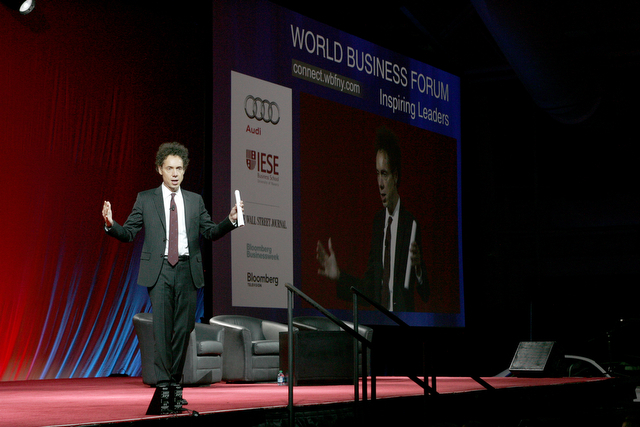 For a dose of innovation and business leadership, I’ll be in the Blogger’s Hub for the World Business Forum, hearing from a lineup that includes Malcolm Gladwell, Jack Welch, Seth Godin and Bill Clinton. Comments, questions and feedback are always welcome. 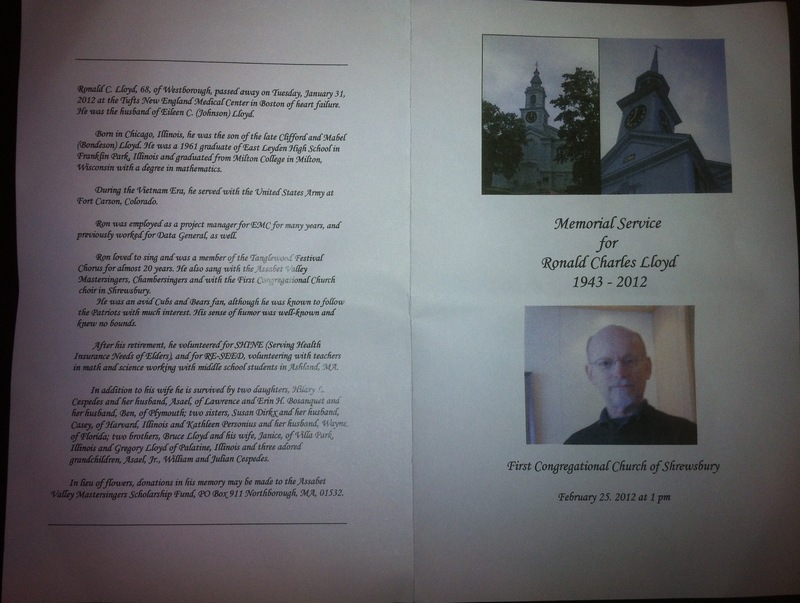 Find me on Twitter and Google+. I have had the great pleasure of attending the World Innovation Forum (WIF) in New York City the last two years. Unfortunately, I will not be able to attend the event this year (be sure to watch #wif11 on Twitter and follow the bloggers on June 7-8), as I will be in Las Vegas for HP Discover. At the HP event, I’m expecting a good dose of tech, good interaction with bloggers and I am very excited that Paul McCartney is the musical guest. HP’s history is tightly tied to innovation and they have also brought in Don Tapscott as one of the keynote speakers (I’ve had the pleasure of seeing Don twice before: at the first EMC Innovation Conference and also at BIF-6). Most companies list being innovative as a top goal, but after listening to thought leaders at previous World Innovation Forum and World Business Forum conferences, the question that arose was can large corporations innovate? Two of WIF’s speakers that I have seen before give good insight into this question. Clay Christensen is one of the foremost experts on business innovation, and his books are a must-read for anyone in tech. Christensen’s material shows how companies can fail to take advantage of new innovations and find themselves disrupted by startups. Even when companies are aware of the new waves that are coming, the commitment to existing customers and inertia of legacy processes will cause most companies to fail to change as needed as the market demands. One of the most powerful weapons that a company can leverage is the passion of its people; this is the message that WIF participants can expect to hear from Tony Hsieh of Zappos. Tony has a powerful message (and excellent book) of how companies can deliver happiness to customers and employees. I tend to agree with a note that I saw on Twitter recently that said: companies can’t innovate, but they can get out of the way of employees who can. 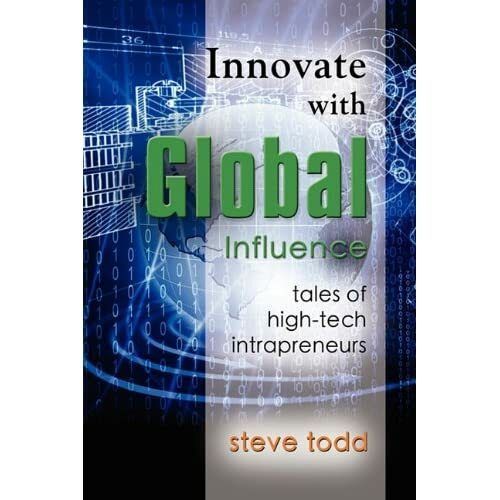 My friend and former colleague, Steve Todd’s second book, Innovate with Global Influence, continues the discussion of how to be a corporate intrapreneur (see my write-up of his first book). Steve draws on teachings of Vijay Govindarajan, Gary Hamel and Daniel Pink (Steve and I saw Vijay and Gary at previous HSM events, Daniel Pink is at WIF11) to give a framework as to how employees can innovate, delivering results and working with teams around the globe. Steve readily admits that there is strong pressure by management to stay in Vijay’s Box 1 (Managing the Present, which is incremental improvements). Steve encourages employees to deliver on their commitments so that they can move to the journey of innovation in Box 2 (Selectively Abandon the Past) and Box 3 (Create the Future). One of my favorite parts of Steve’s approach is that he recommends indoctrinating new employees immediately in the innovation process. Employees who feel empowered to be innovative and who can be connected with a broad community with similar passions are more likely to be excited and happy with their work. I recommend Steve’s book to anyone who wants to grab some of the power of innovation and help make sure that your company doesn’t stop the passion of its workers. There are plenty of ways to get a dose of innovation, whether it is hearing an inspiring speaker at a conference, reading a book or blog that makes you think or watching a video; the TED website and iPad app alone can keep you busy for a long time. What have you read or watched that has inspired you? Disclosure: I received a free copy of Innovate with Global Influence, but am under no obligation to write about it.